A very important distinction is discovered when someone takes classes at RKS, and that is the difference between Self Sacrifice and Sacrifice of Self. We are often ignorant of this difference until one is met with the cold shoulder of heaven. Just as Cain and Abel both sacrificed to God, one offering was acceptable and the other was not. Abel’s sacrifice received some kind of validation; Cain’s did not. Why did God favor one but not the other. 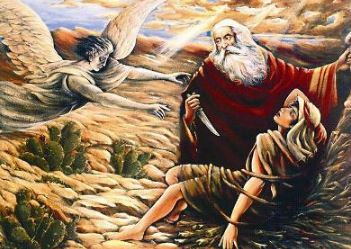 What is God trying to tell us in this story in the very beginning of the Bible? Remember, this is the first act of worship or ministry recorded in the Bible. This is also where the first murder is recorded, which was over how to properly worship God. This is an extremely important foundational truth for us to understand. Abel’s offering was a forward-looking type of Christ’s shed blood. This story points to a right and wrong way of thinking about how we worship or serve God. Posted in Most Popular Articles and tagged Christian Maturity, Discernment, Jeff Krall, Roadkill Seminary, Sacrifice, Sacrificial Works, Works on April 11, 2013 by Jeff Krall.